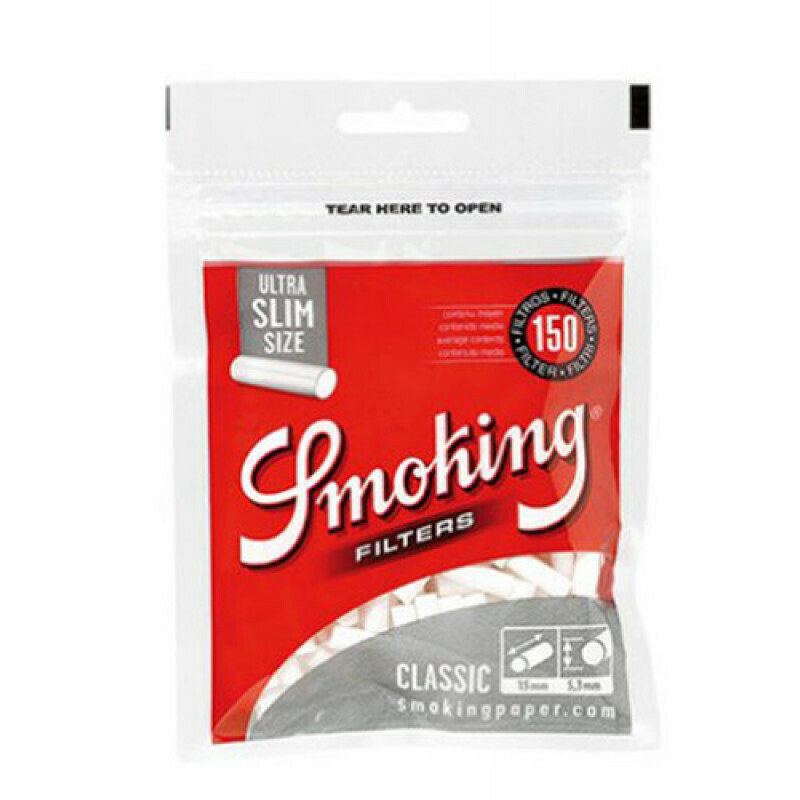 Display Smoking filters, Classic Ultra Slim. Afmetingen: 15 x 5,3 mm. Aantal filters: 150. Aantal zakjes: 34.